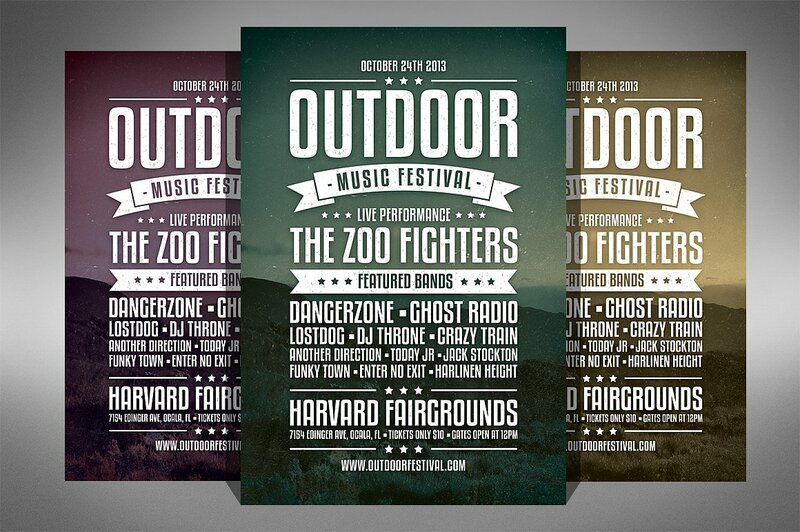 Flyers these days are regarded as the main tool for promoting a specific product, service, promo, or event. 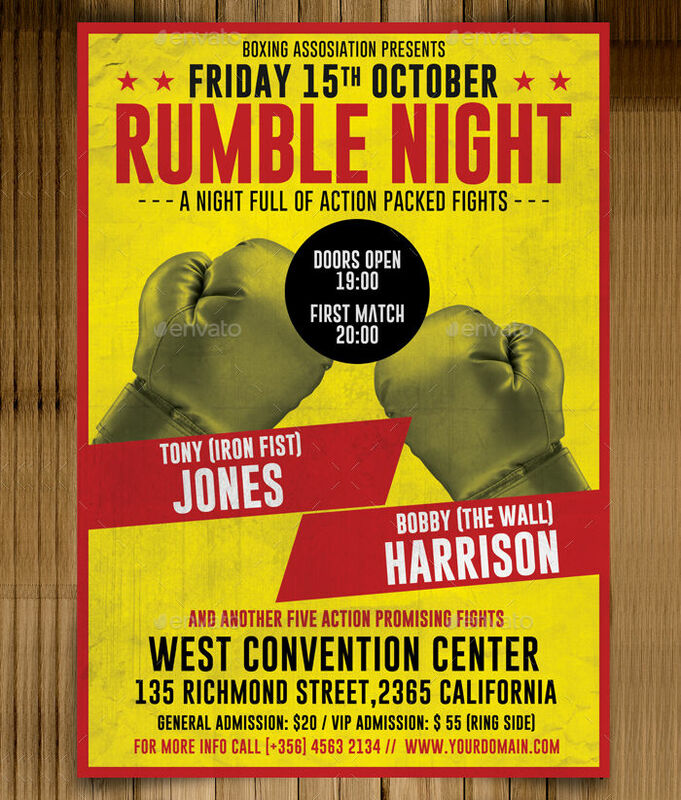 The better the flyer design, the more attractive it will look for potential customers or guests to check on. 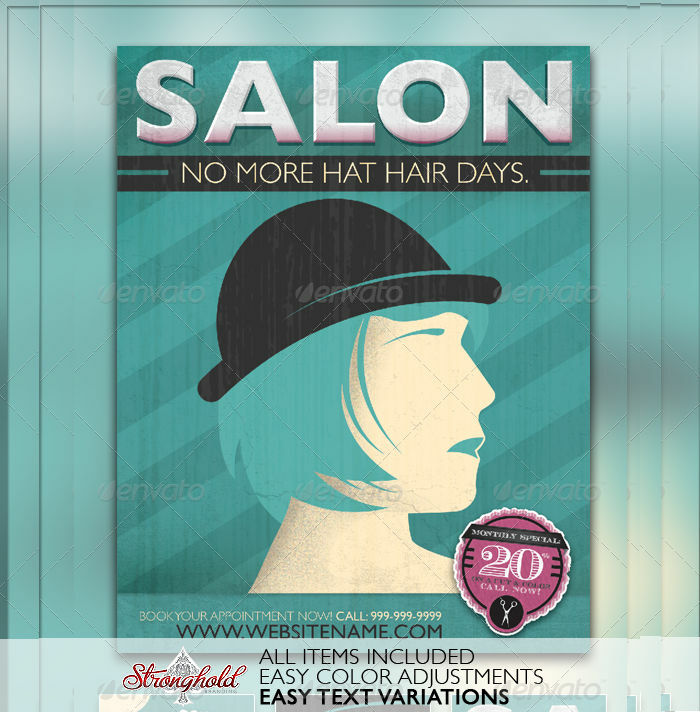 Here, we share some vintage flyer designs you can use to create that classic look. We will also be sharing information on the variety of vintage flyer designs available and what they are commonly used for. 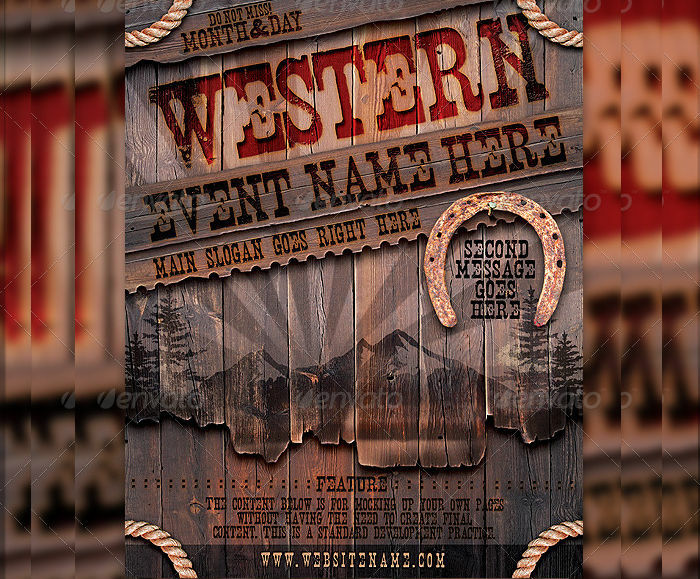 Vintage flyers can also be utilized as business flyers when used for corporate purposes. 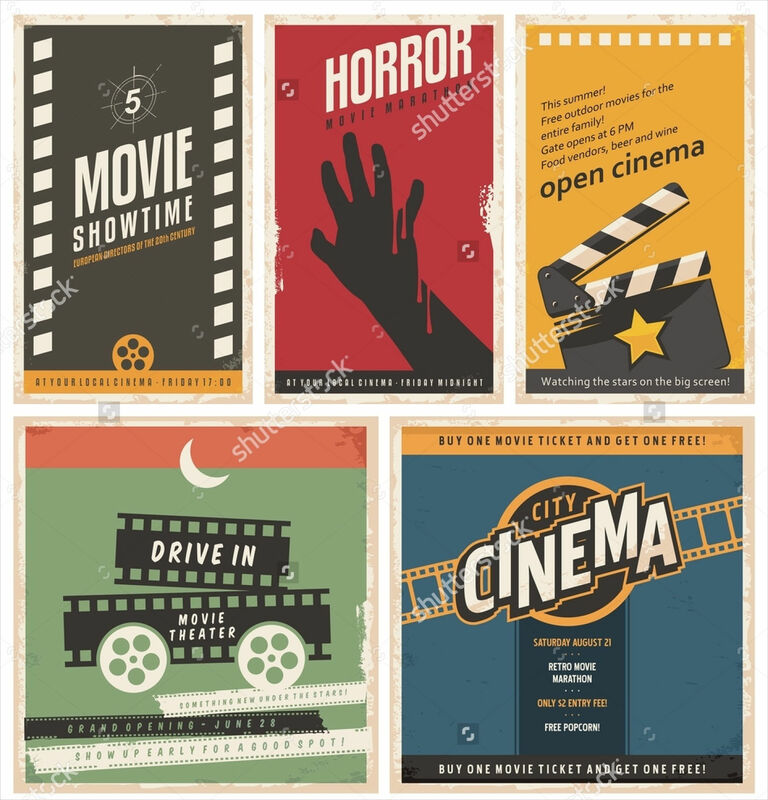 Scroll down below for more information about vintage flyers and its nature. 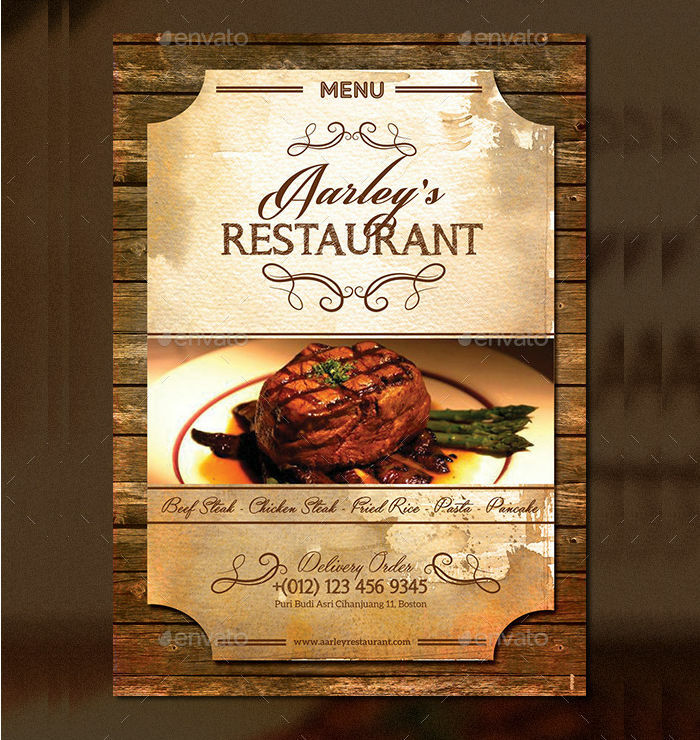 Flyers are important mainly to attract possible customers or guests with whatever you may want to promote. They can also be effective and convenient to use because they are cheap when printed out in dozens and you can distribute them in many ways. 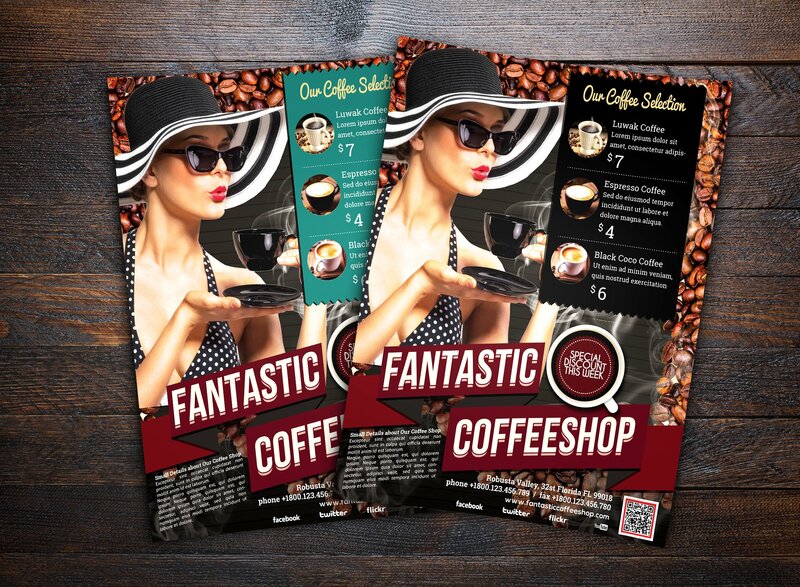 In the digital world today, flyers can even be distributed online through the use of different social media platforms and can spread quickly through various people sharing your flyer over the web. Without flyers, most small business establishments would have difficulty introducing their promotions to the public. 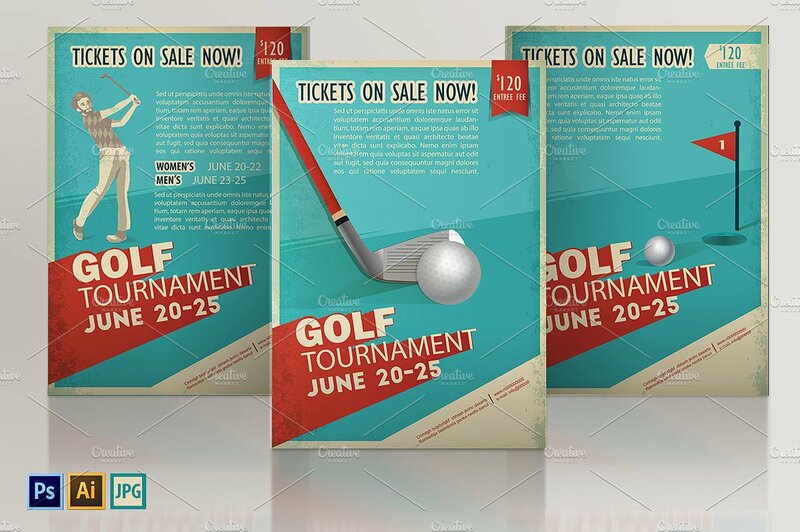 There are numerous ways for you to create your own flyers, one is creating them by individually painting or drawing them. This method is often used in schools, as they are limited to funds and would rather rely on their own creativity. Another common method that is more advanced is using software programs. 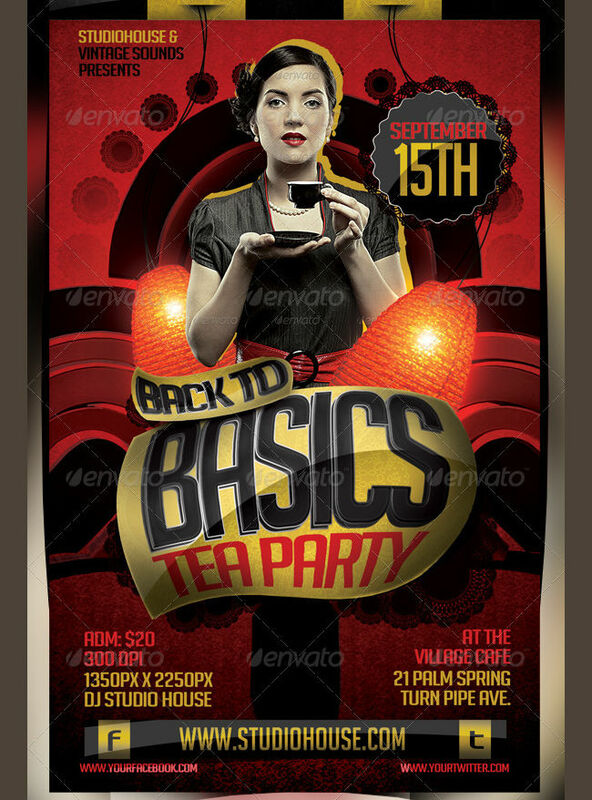 Today, a party flyer design can be created in minutes by using photo manipulation software programs. Others tend to think outside the box and turn their flyers into trailers or picture slideshows instead, anything to attract a crowd. 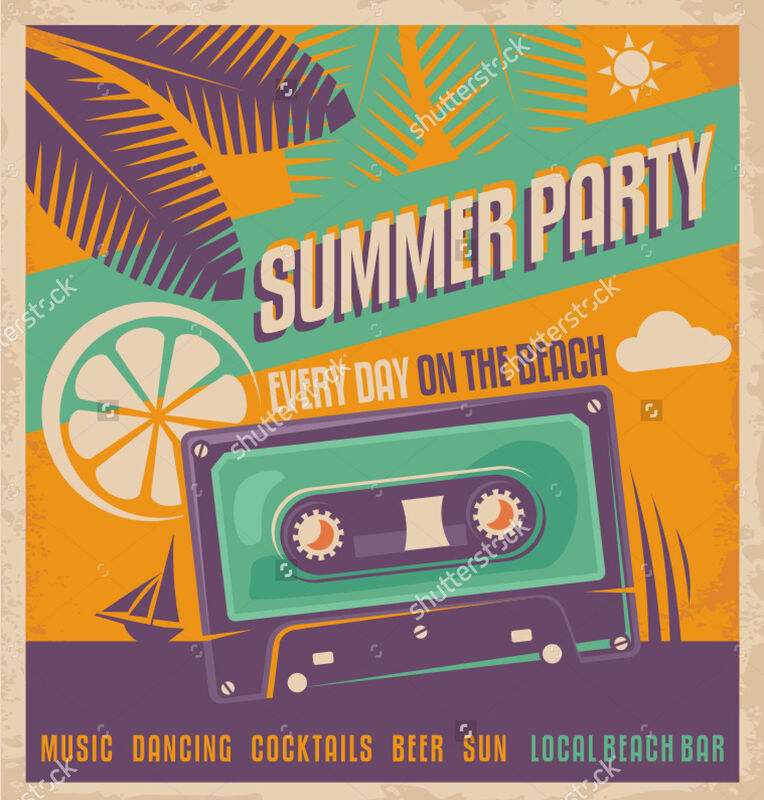 Artists creating a summer flyer design also convert them into videos to make them look more creative. 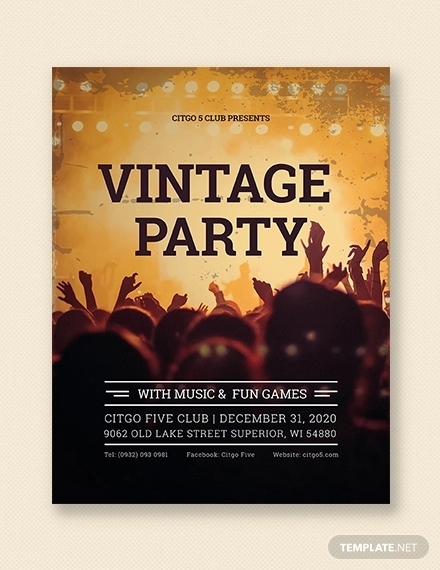 A wide variety of vintage flyer design templates will help you create better ones or use the templates as is. This can also serve as reference for you to use your imagination and alter the existing designs. 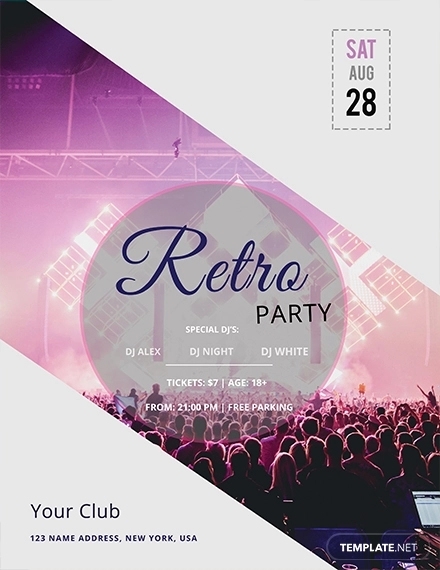 Vintage retro flyer. 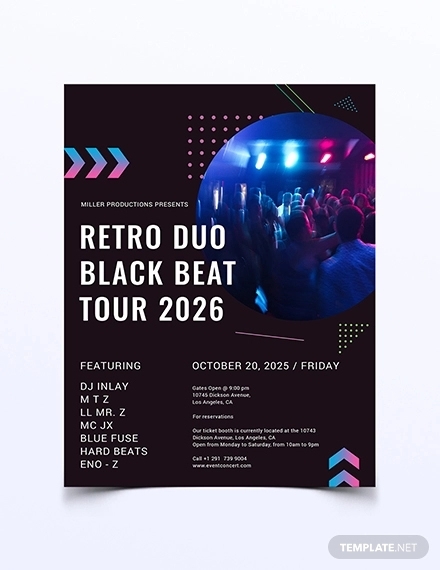 These types of flyer designs are often used for most rock band concerts, where the designs may contain mixed dark colors to represent a vintage design, as well as a big space to place the band image or logo. 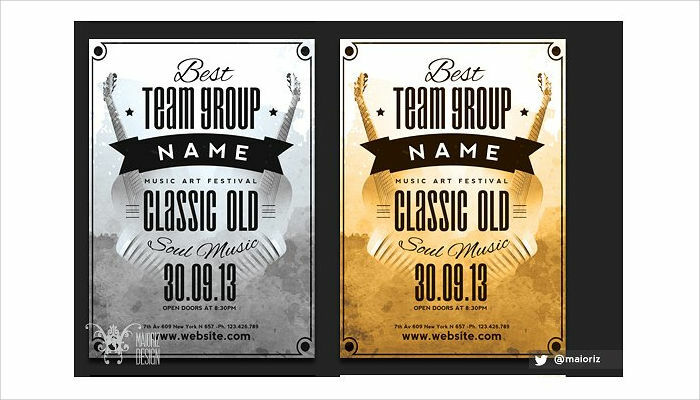 In this template’s case, you will be able to place a big image of your subject and captions for you to place your event details. 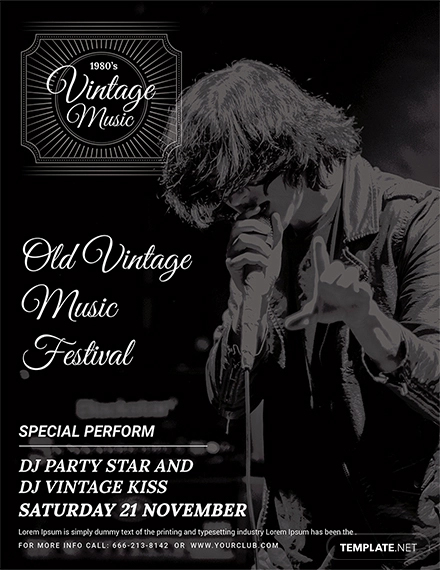 Vintage party flyer. 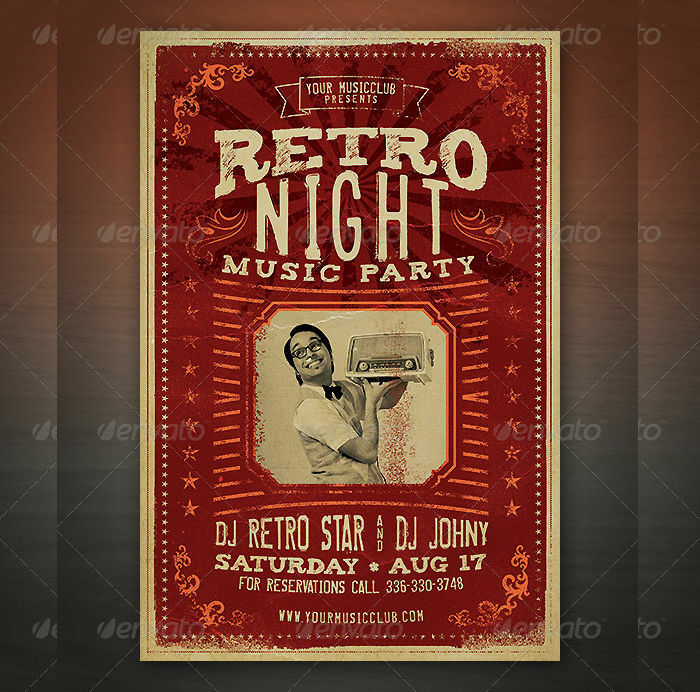 You can often find these types of vintage flyer designs specifically used for club parties. 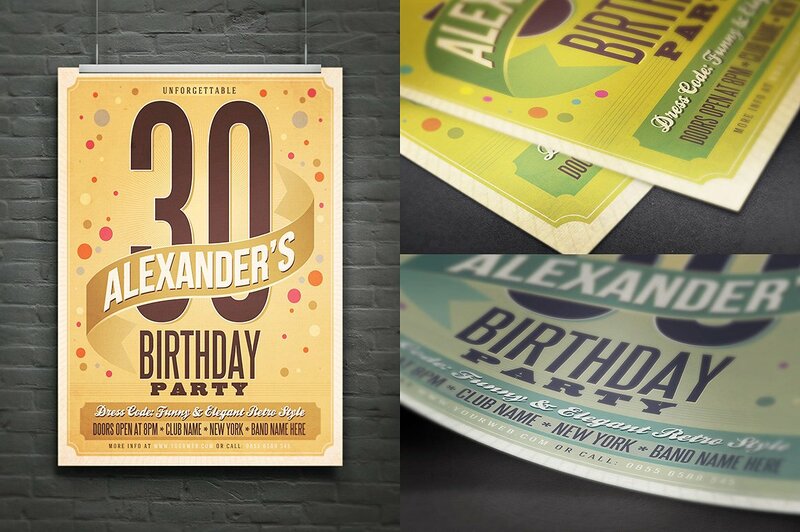 Either for indoor or outdoor parties, the template’s layout gives off different neon colors like most club designs. The colors are also paired with different lines or abstract shapes to make it look more modern yet classy. The main design may have a modern feel, but the different shades of color added as filters give the flyers a more vintage look. Carnival flyer. 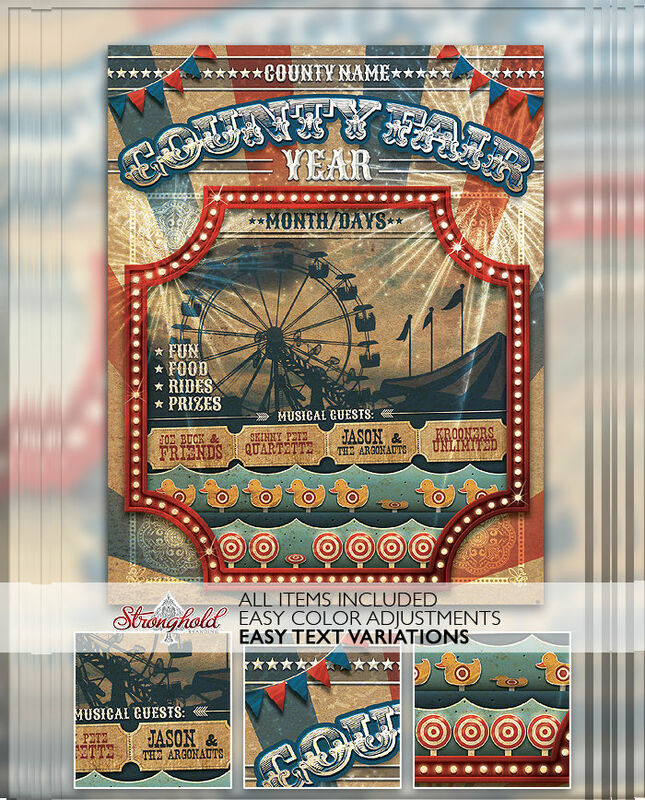 Like most carnival flyers, this design lets you feel the good old days with its main design and carnival related decorations. Adding both bright and dark colors makes the design look excitingly vintage. Vintage newspaper flyer. 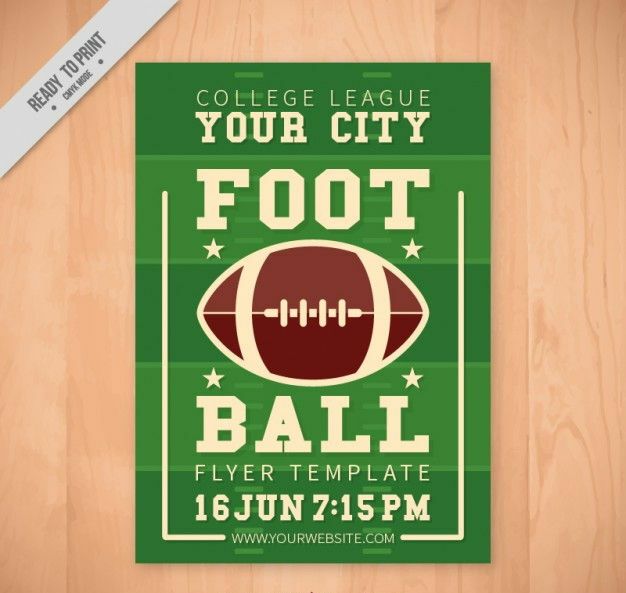 You can use these types of vintage flyer designs if you want to make your promotion look like the main page of an old-fashion newspaper. 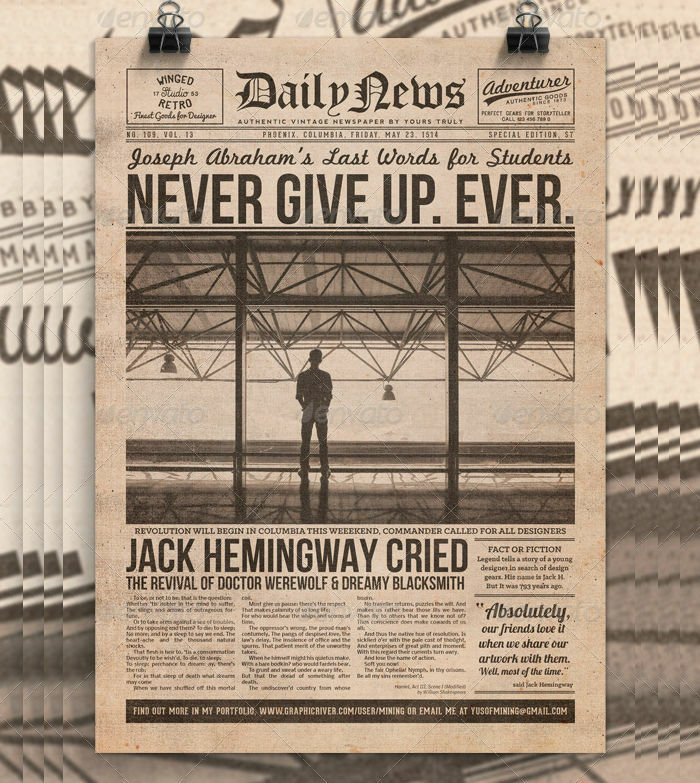 The design features newspaper like decorations and options for you to add your images and captions. 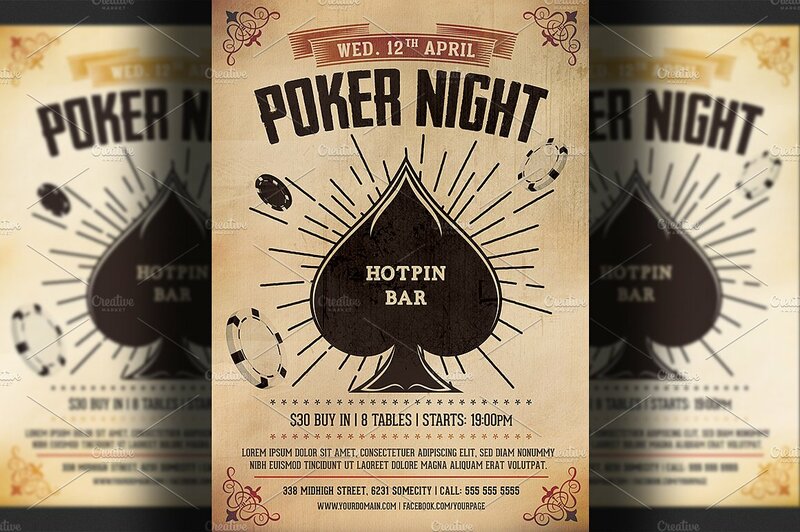 If you would want to save money and use your flyers as invitations to an event or party, then you can use an invitation flyer design to help you create such. For birthday parties, it would be advisable to use a birthday party flyer to create your own flyer with ease. 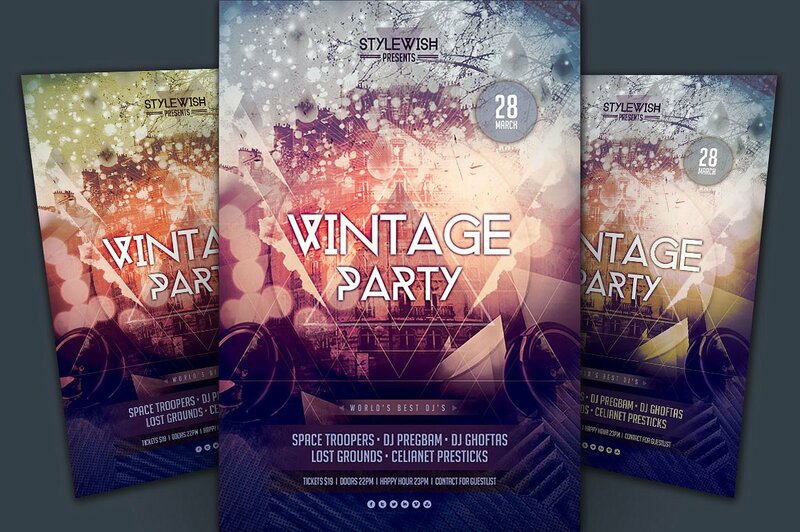 With the variety of vintage flyer design templates available, creating your own flyer design shouldn’t be a problem. 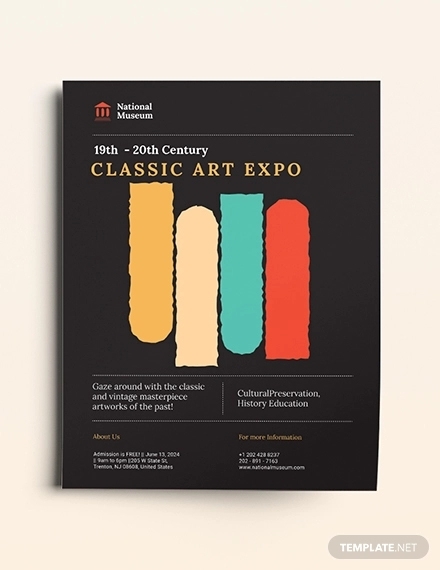 Before you create your own flyer though, do keep in mind on the most important details your flyers must have to make them look unique and informative at the same time. They need to have the information your customers or guests will need to know. Prepare all the design tools you need. From the software programs to the computer specifications you will be using, it is essential to have everything you need to create the perfect design. It would be advisable to have advanced software programs, this is to maximize all its features to help you create the perfect design. Create your theme. It is important to have a theme for your design. Having a theme will help you create your flyers in a smoother flow and help you avoid wasting time by constantly stopping to rethink ideas. To pick up a theme right away, it would be advisable to look at magazine covers and other flyers to get inspiration from their concept. Double check your designs. Always make sure to double check your designs before publishing or printing them out. This is most important for flyers that may contain events, that requires you to place accurate information. 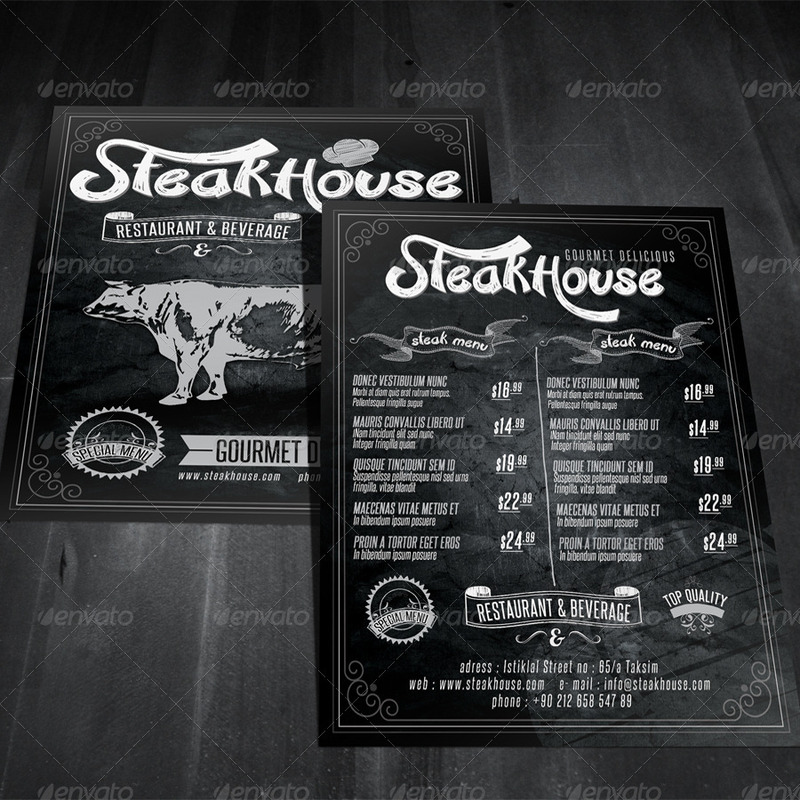 If you plan to think outside the box with a unique design, you should start by creating a 3D flyer design. 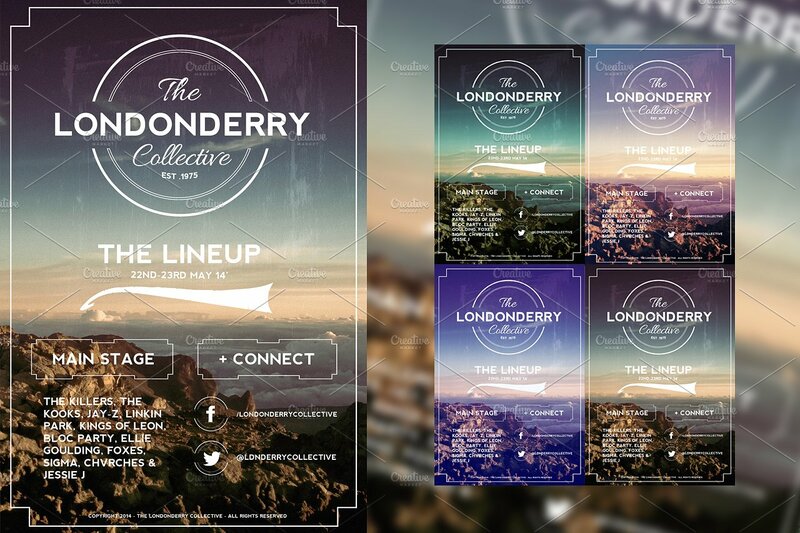 Now that you have all the materials and tips to create your own flyer, it’s time to create those designs. Main image. 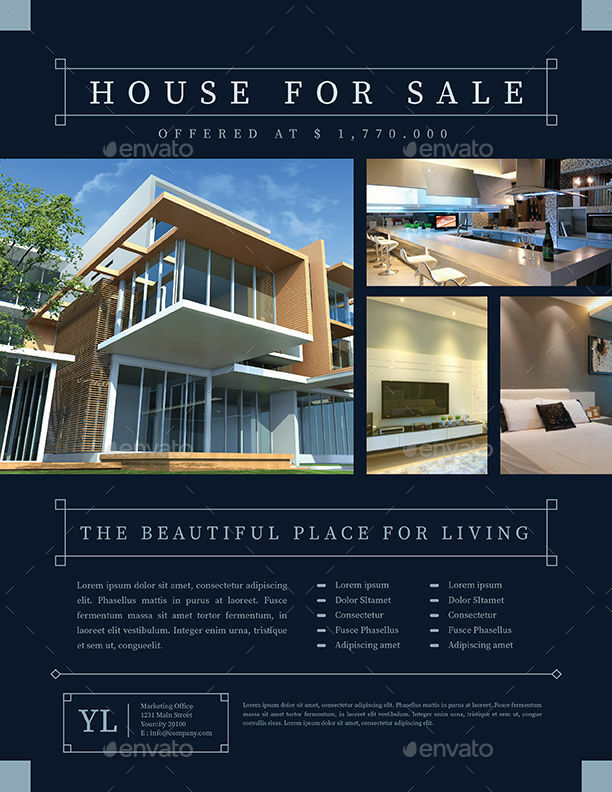 Your flyer should contain the main image or the subject. If you plan to sell a new product, you should feature the new product as the main subject of the flyer. If you plan to promote a service, you can insert pictures of your establishment doing the service for customers, like pictures of massages or cleaning services. If you plan to promote an opening, you should include the pictures of the venue, products and services the establishment sells. To help you with this, you can also check out a restaurant opening flyer that can serve as your reference for such concerns. Content. You should place a brief description on what your product or service will be like. Your content should also include an inviting kind of message for your guests or customers. 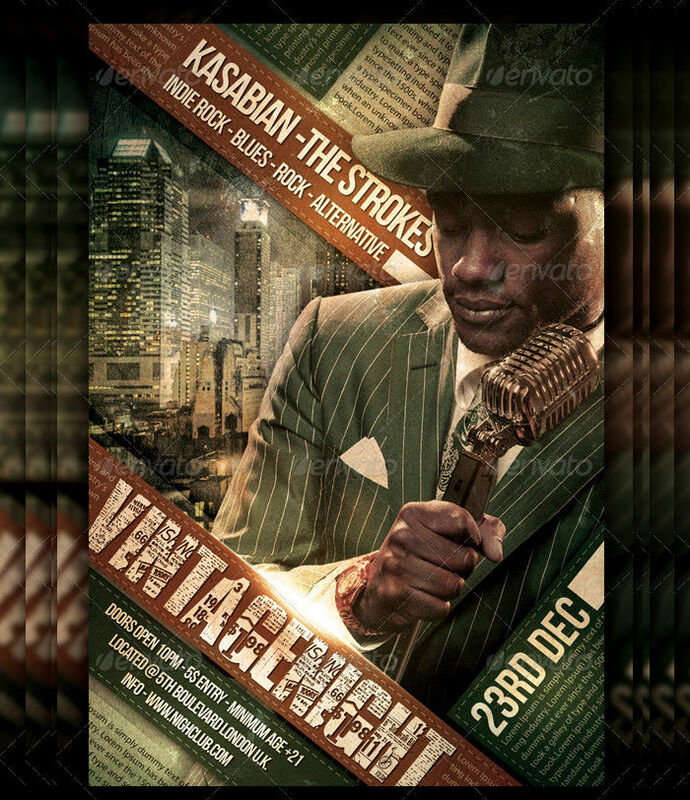 If you plan to promote an event, you can place the bands and DJ’s featured. You should also include the schedule of the event, the location, and when the event will take place. Contact information. You should include your contact details in case people would have questions or inquiries about your promotion. This will also help give you a good impression by providing good customer service. Other details. 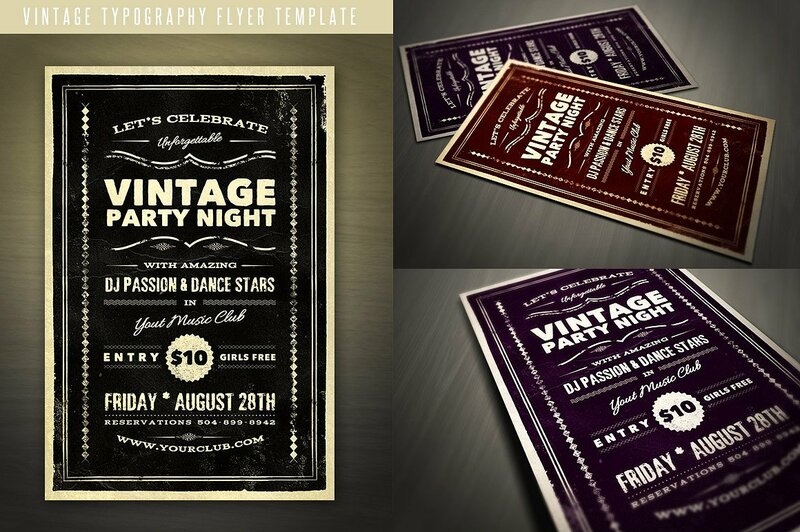 Whether your are using these vintage flyers as marketing tools or as invitations to an event or party, make sure to include important details that will inform the receiver of your flyers. This gives you the chance to let people know that you actually made time and gave effort to produce these flyers. 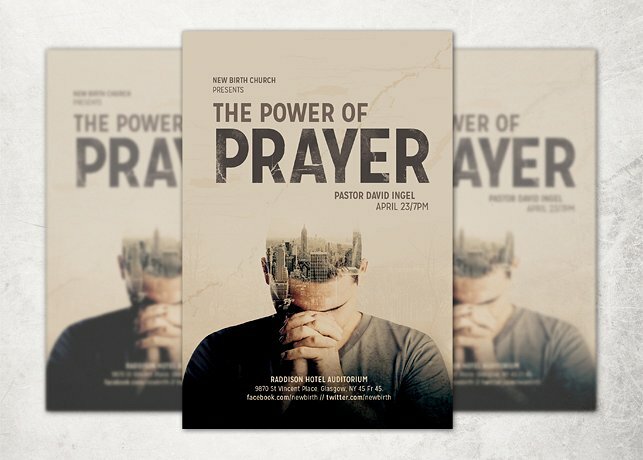 If you are looking for flyers that are sleek and modern, you can always check out the rest of our website for other flyer designs. We also have flyers for specific events and occasions such as birthdays, anniversaries and events. Remember, all flyer designs and templates we have available can be easily downloaded and customized to your liking.